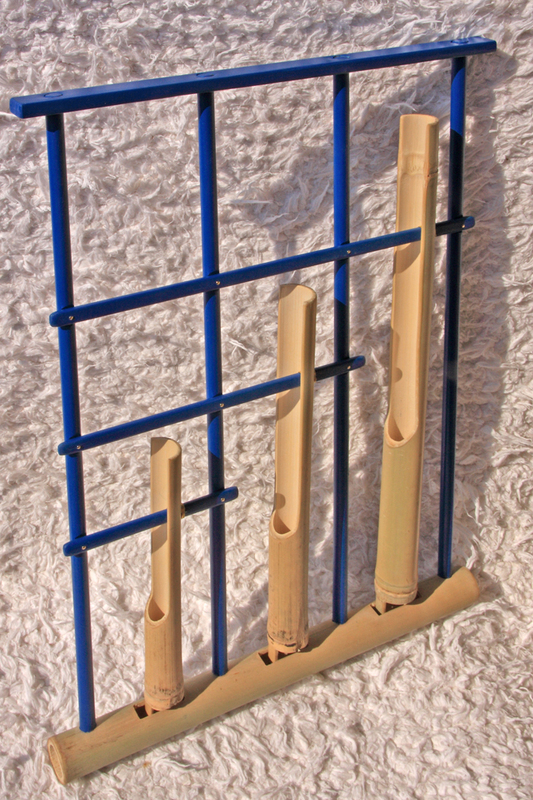 If I ever though that making an Angklung would be an easy task, I was probably right about it. But only if I knew how the process goes, from the beginning. Like these guys (link), who make Angklungs for generations in the middle of Indonesia. But eventually, making one myself was a great journey that took the beginning in Garden shop and was continued in my home workshop to finally deliver this very pretty musical instrument, in my immodest opinion. My blue friend is ready and the day of my first performance of I CHING in Poland is approaching. September it is! Shortly after, we face a problem, a situation that will last for longer: what about all the instruments we need, in order to perform music. The education time at the conservatory is over, the cosiness of percussion department (if you’ve experienced one) is a memory of paradise. There was always a choice whether this Pai Gu should be used, or rather that O-Daiko. Should I make an ordinary set-up or be more sophisticated? “I just take all this to the concert hall. It’s for me to use!” Now, there is an issue of “where and what to play”, but this may eventually begin solving itself, as soon as we are back to practicing. First, give me an instrument, please! But OK! I’m not to expand this question. I am about to say that when it is difficult to purchase an instrument coming from Bali for instance, make one yourself…it will come from, let’s say, Rzeszów! I am trying this, and it is somehow more of a fun than ordering at Thomann or Steveweiss. Yes, spending money is cool, but how about spending very little and creating beautiful item at home? Even a very, very simple one. I think, it makes multi-percussion more personal, even more diversified and intimate, so to speak. If I create another level of connection, make new, old and home made stuff juxtaposed, music can evolve. So it can happen as well as when creating a completely new sounding object.